Each Ramadan, millions of people around the world fast until sunset. But for many, the fast does not end. You could feed a fasting family for a month. Around 1 in 10 people in the world do not have enough to eat. That’s around 815 million people worldwide. Struggling to survive each day, they are at immediate risk of malnutrition and disease. Do something amazing this Ramadan. Feed the Fasting. Your support will provide nutritious staple foods that will sustain and nourish a family for a whole month, easing hunger and providing strength. 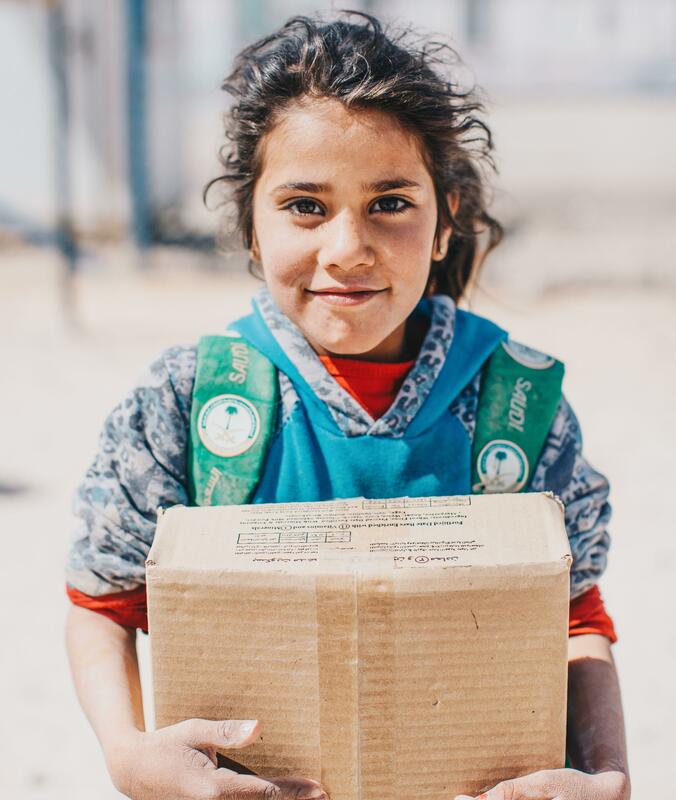 By donating a food pack, you can ensure that some of the world’s neediest people have a nourishing Suhoor and Iftar meal each day. This Ramadan, you can feel amazing with us. Your support can provide a nutritious food pack containing basic food staples to sustain a family of 5 for a whole month. Your generosity can ensure that they have adequate and energising meals to break their fast for each day of Ramadan. Without this, they will continue to suffer. From Afghanistan, to Sierra Leone, to the refugee camps of Jordan, parents and their children are in desperate need of food. Last year, we delivered food packs to people in need across the world. Feel amazing. Feed the Fasting. You can help them have enough to eat this Ramadan. By providing food, you give them energy, nutrition and hope that tomorrow will be a better day.